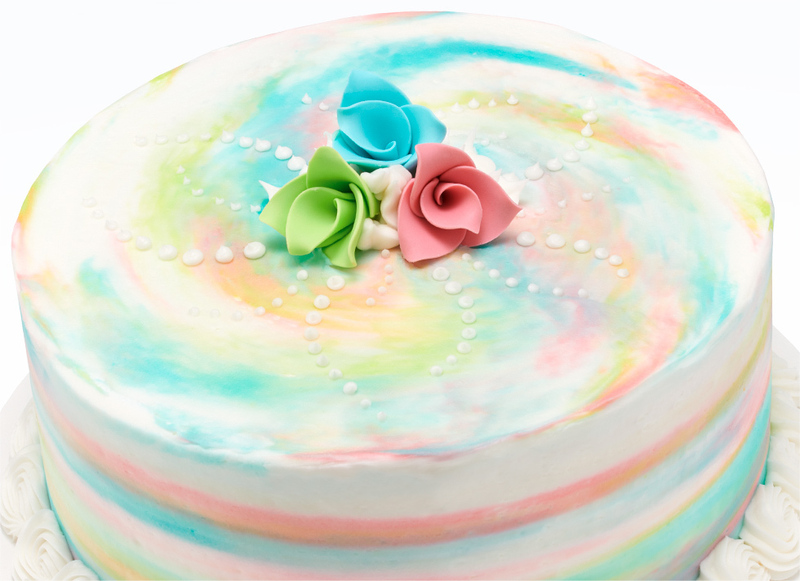 Imagine waving a magic wand and filling your bakery case with upscale and on-trend cakes, donuts, cookies and more. I know, I’m not your fairy godmother, but with these fast, easy pro tips and our new, trend-forward All Age Celebration products you can achieve magical results in record time. I love using a simple, smear technique to create a dreamy watercolor effect—it’s a great alternative to airbrush. This whimsical touch is the perfect backdrop for our new and edible Sweet Décor™ Origami Flowers and Sweet Décor™ Pastel Brushstrokes. Pipe on a few extras like a rosette bottom border, a whirl of dotted icing, and scrolls circling the top edge, and these cakes go from basic to beautiful with the squeeze of a bag. Plant some sweet cupcakes in your cake case, too. 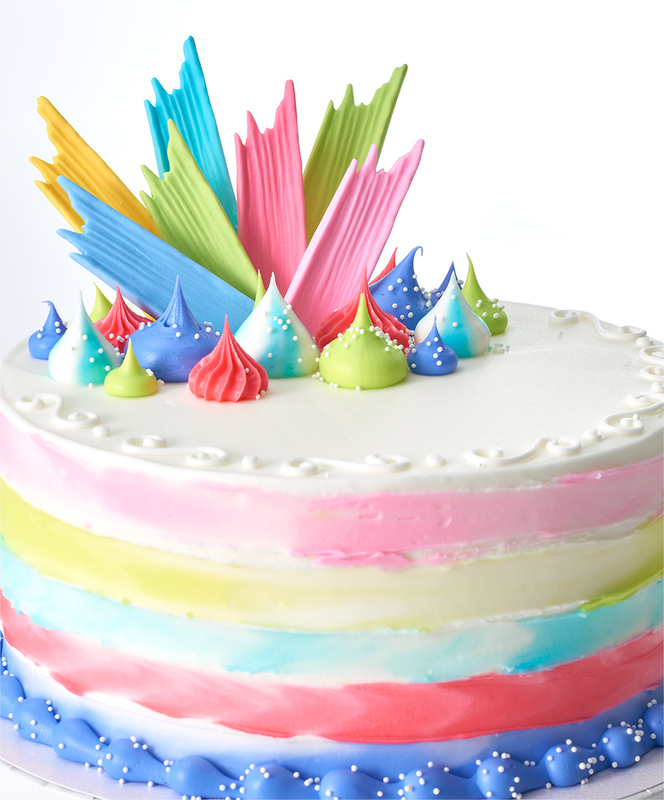 Just coordinate your icing with the colors of our Sweet Décor™ Origami Flowers. How can you turn a basic iced cake into something truly wonderful? Add chocolate of course! Or more specifically, our custom Dobla chocolate Wonderment Kit featuring delicious, pre-printed white chocolate. Everything you need to create an impressive, indulgent cake is included in the kit. Simply cover the cake in buttercream, adhere the pink chocolate curls to the side while the buttercream is still fresh, add a few dollops to hold the chocolate pieces, and viola—a chocolate-lover’s wish come true. 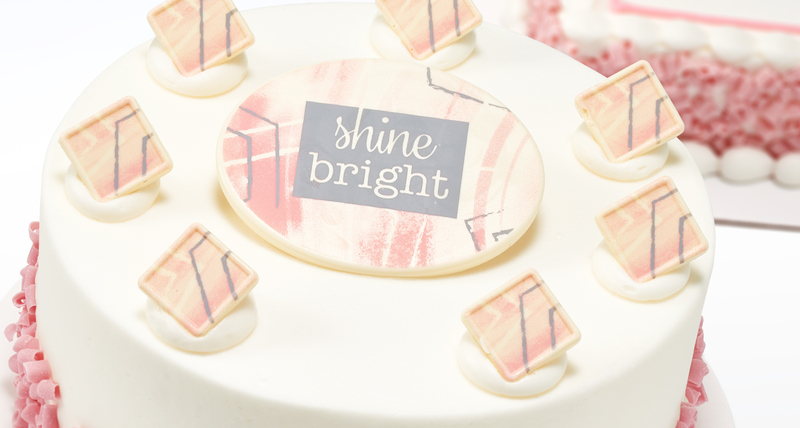 Our new SugarStyle™ Good Vibes Shapes are an edible, solid-color pressed sugar loaded with possibilities. These full-color, three-dimensional shapes give you more freedom to place the pieces anyway and anywhere you want. For these 80s-inspired cupcakes, I used Neon airbrush colors for a bold, eye-popping contrast. Ready to have some fun? 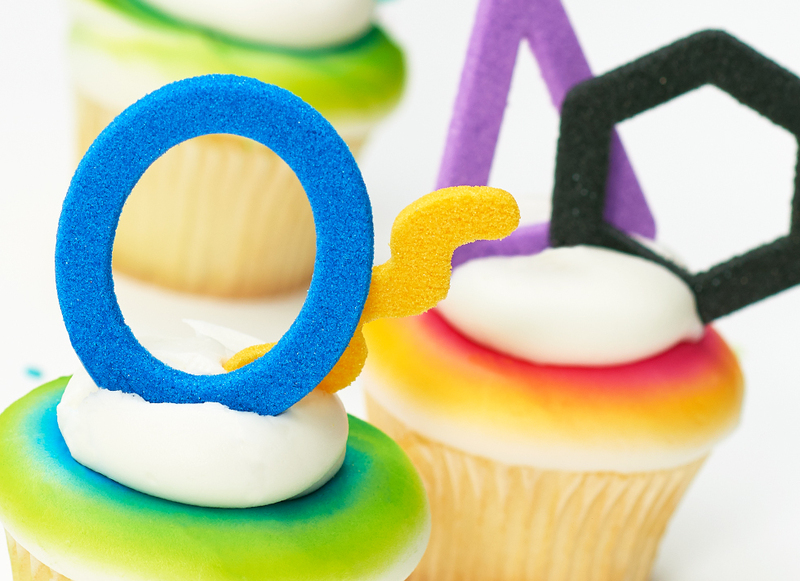 SugarStyle™ is your ticket to 3D decorating freedom. Customers want upscale, on-trend cake designs and they are willing to pay more for cakes with extra special touches. That’s why we’re encouraging bakeries to “Plus It Up” for 2019. Enhancing basic cakes with simple touches and All Age Celebration products will make any customer jump for joy. Here, metallic golden pieces from our Sweet Décor™ Geometric Kit turn a traditional look into a trend-forward design. Check out these adorable Sweet Décor™ Succulents placed on top of brownies. Unlock the impulse-buying potential found in cute, small products by using them to create specialty cupcakes, cookies and donuts that are impossible for customers to resist. Hey there, I’m Danielle. I started decorating cakes with my Grandma when I was six years old. It was a fun hobby we enjoyed together. As I got older, I dreamt of going to art school or becoming the next Alicia Keys, but when I was sixteen my Grandma passed away. So when the Cordon Bleu came into my home ec class, I thought. “That’s it. 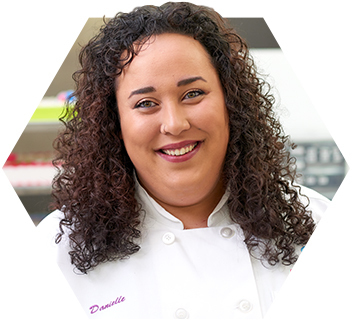 I can still be an artist, and take the Bubba with me the whole time.” That’s why I love being a cake designer and decorator at DecoPac—I get to create amazing, edible art with my Grandma smiling over my shoulder.